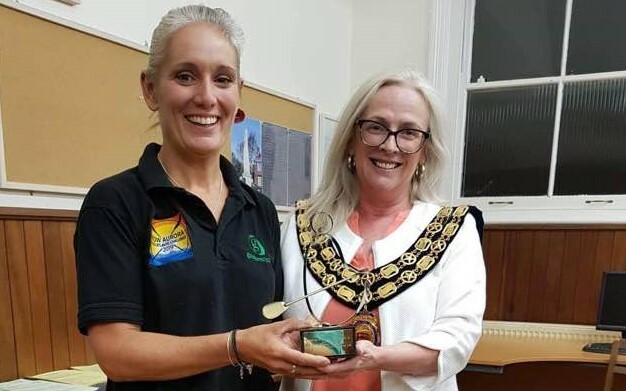 Dawn Wood, who recently returned from crossing the Atlantic in a rowing boat designed and built in Burnham, has been honoured by Burnham Town Council. 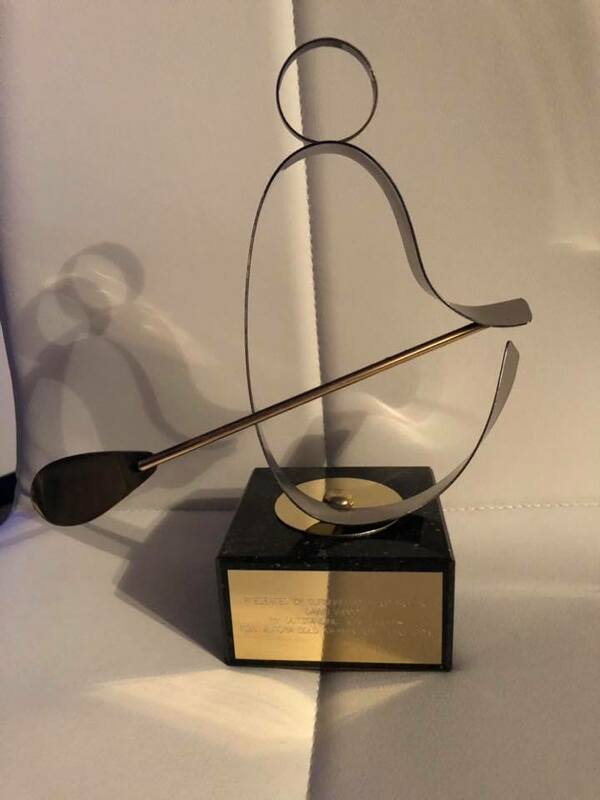 At a meeting on Tuesday 19th March, 2019, Town Mayor Wendy Stamp hailed Dawn’s extraordinary achievement, and presented, on behalf of the council, a specially-commissioned trophy with an inscription which read ‘Presented by Burnham Town Council to Dawn Wood for Outstanding Achievements, Row Aurora Solo Atlantic Challenge 2019’. Dawn Wood lives in Burnham and is a police officer, yacht master and skipper with Burnham’s Essex Police Marine Unit. She is also a firearms instructor. Dawn rowed more than 3000 miles from the Canary Islands to Barbados. she was a matter of hours outside the world record, making her the second-fastest woman to row across the Atlantic, and was only prevented from shattering the record by contrary winds. She made the journey to raise awareness about pollution and plastics in the oceans – the fact she was self-propelled and otherwise powered by solar energy meant her trip had a minimum carbon footprint. The boat, named True Blue, was built by Rannoch Adventure, founded by Burnham resident Charlie Pitcher and based on Marsh Road. For more information about Rannock Adventure, click here. 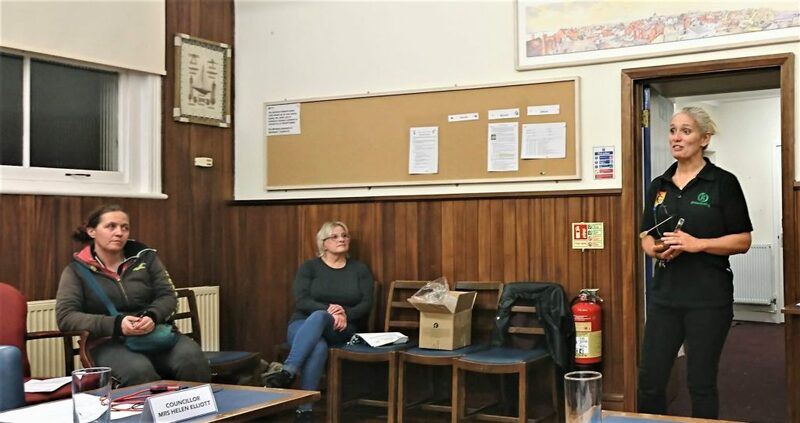 To listen to Dawn speak about her voyage, click here, scroll down to the recording for 19 March 2019, and fast forward about two minutes.